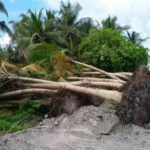 The EPA approved reef blasting between the islands of Meedhoo and Ismahelahera in Addu Atoll on November 9, after it came under pressure from the government, according to informed sources. 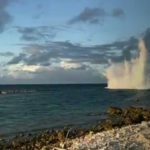 The Environmental Protection Agency has come under fire after it emerged that the regulatory body had approved a plan to use dynamite to cut a channel through a reef in a southern island. 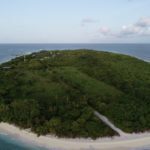 The agency initially refused to approve the restricted method because of potentially irreversible damage to the reef, a senior official who works at the EPA told the Maldives Independent on the condition of anonymity. “But the environment ministry made it clear that the approvals must be given. The agency had no choice in the matter,” the official said. The project was contracted to a Sri Lankan firm, Senok Trade Combine, by the housing ministry. 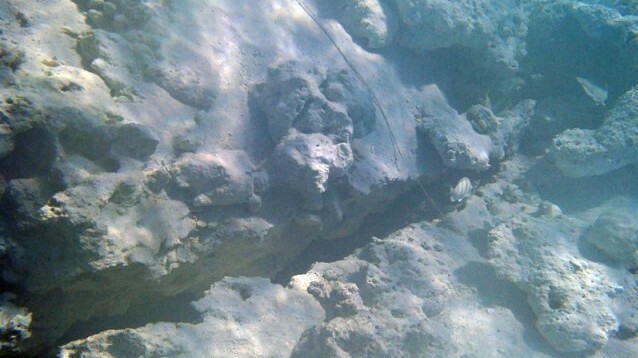 Reef blasting has not been used in the Maldives for more than ten years because of the damage it causes to marine life and corals, according to environment campaigners. 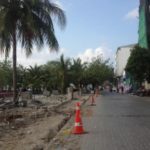 Ibrahim Naeem, who heads the EPA, signed off on the method with the express condition that the housing ministry take measures to minimise damage to the reef. 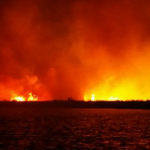 Senok Trade Combine, in an environmental impact assessment, said the firm had no choice but to use dynamite because other less harmful methods were not working. The main opposition Maldivian Democratic Party condemned the move saying: “Such practices by the government inflict serious and permanent damage the coral reef and the already fragile surrounding environment”. “The government is once again reneging on its international commitments. 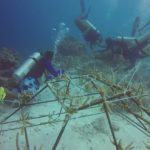 We cannot allow for such harmful practices to continue to endanger the coral reefs, which is the country’s only natural defence against tidal swells and other natural disasters,” the MDP said. Corals grow at extremely slow rates; the fastest growing corals grow by up to ten centimetres per year.